Senate Republicans are plowing forward with a committee vote Friday on Judge Brett Kavanaugh’s nomination to the Supreme Court; Democrats remain vehemently opposed. In an era of political polarization and yawning cultural divides, Americans came away having heard very different things during Christine Blasey Ford’s and Supreme Court nominee Brett Kavanaugh’s testimonies. President Trump tweeted his approval of Judge Kavanaugh’s performance after his forceful pushback against the woman who accused him of sexual misconduct. 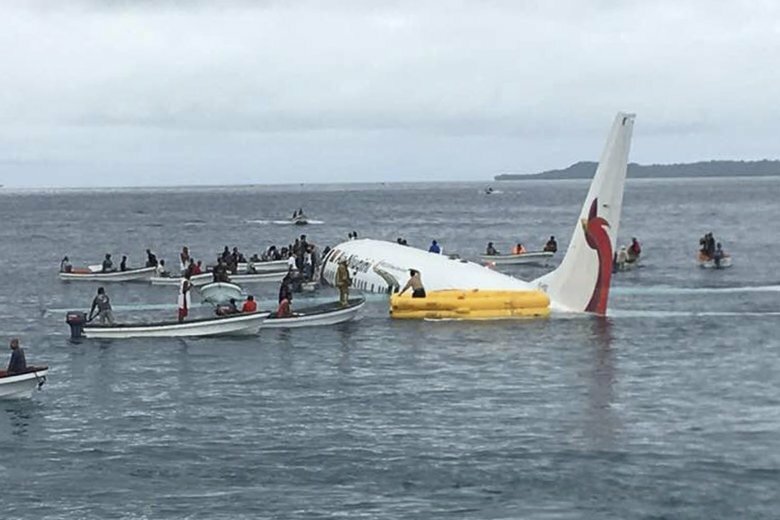 All 47 passengers and crew survived a plane’s crash landing in a Pacific lagoon, wading through waist-deep water to the emergency exits and escaping on local boats that came to the rescue. Survivors of the Las Vegas festival shooting, who were already bonded through the music, have formed a tight-knit, encouraging community as they heal, support and remember. Israeli Prime Minister Benjamin Netanyahu charged Iran with keeping a “secret atomic warehouse,” while the Iranian foreign minister derided the Israeli presentation saying the country needed to come clean about its own nuclear program. Today’s digital maps — seemingly more precise than ever — aren’t always as dependable as they appear. U.S. securities regulators are asking a federal court to oust Elon Musk as chairman and CEO, alleging that he committed securities fraud with false statements about plans to take the company private. New photos taken on the surface of an asteroid about 170 million miles away by two Japanese jumping robotic rovers show that it is unsurprisingly rocky. American Jordan Spieth and Spaniard Jon Rahm are firing up their teams at the Ryder Cup which began Friday at France’s Le Golf National.